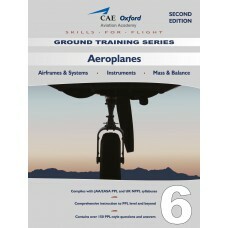 This book on ‘Aeroplanes’ and ‘Mass & Balance’ is intended specifically to meet the needs of the light aeroplane pilot. Its content satisfies the demands of the theoretical knowledge syllabus of both the EASA Private Pilot’s Licence (Aeroplanes) and the United Kingdom National Private Pilot’s Licence (Aeroplanes). A further, primary objective of the book is to assist you to become a more skilled pilot. The ‘Aeroplanes’ section aims to teach you the theoretical and practical knowledge of your aeroplane’s systems that you will need in order to fly the aeroplane efficiently and safely. The 'Mass & Balance' section covers all the necessary knowledge and principles that pilots need to master in order to check that an aeroplane is correctly loaded and balanced, before flight.